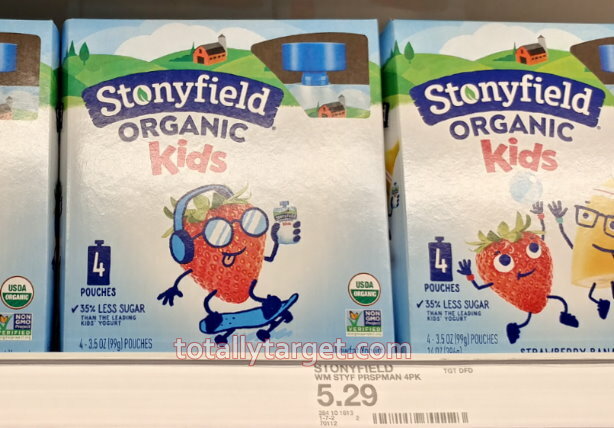 Right now you can print a nice coupon to save $1.00 on any ONE (1) Stonyfield Organic Kids Multipack. 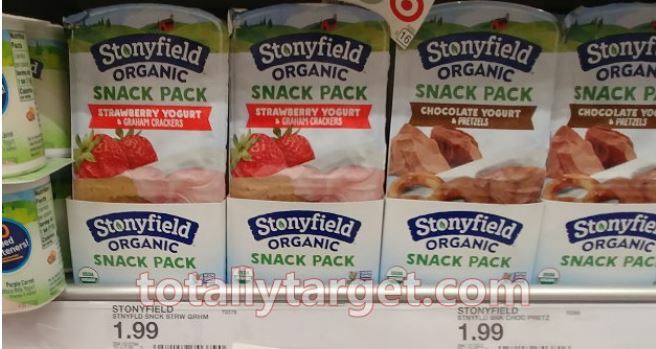 We have a new Target cartwheel offer to stack, plus a rebate to make for some nice savings…. Some stores also still carry the 6 packs of Kids too for another nice deal…. The cartwheel offer is also valid on the Snack packs, and we have an additional rebate to make for a nice price….